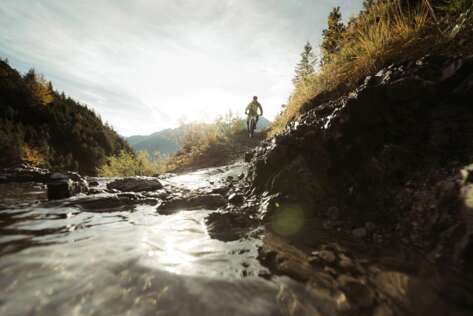 Summer holiday in the Tiroler Zugspitz Arena: hiking trails, MTB routes & single trails, water & action sport. 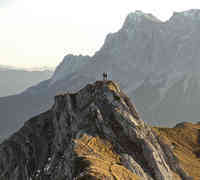 Berwang: hiking in Tyrol on 300 km of marked hiking trails. For families, connoisseurs and athletic mountaineers. Tips, tour suggestions, MTB addresses for some of the most beautiful bike tours in the Tiroler Zugspitz Arena! Paragliding in Berwang-Bichlbach, start at the Almkopf at approx. 1,800 m. Tandem flights for children and adults. Individual rides, combined tickets, half- & full-day tickets; Tirol Cards: Z-Ticket, Tirol-Regio-Card, Königscard. 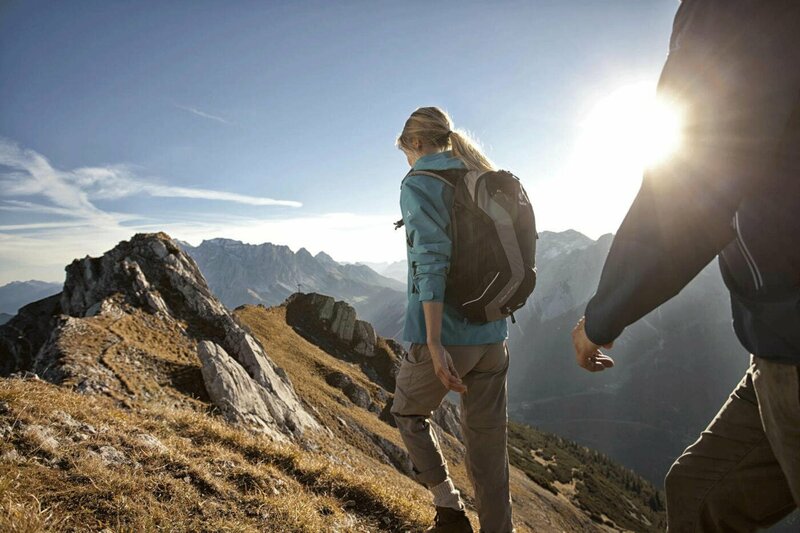 Buy or rent hiking shoes, functional clothing, bikes and more at the sports stores in Berwang and Bichlbach! Mountain scooter rental at the summer cable cars in Berwang-Bichlbach: 10 km of downhill riding fun for all ages! 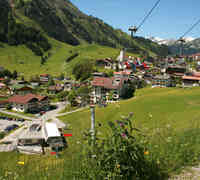 Sonnalmbahn Berwang and Almkopfbahn Bichlbach: operating hours in summer. 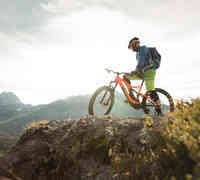 Hiking, biking, paragliding and more! Experience many attractions of the Tiroler Zugspitz Arena for free or heavily discounted with the Z-Ticket. The webcams in Berwang-Bichlbach and the Zugspitz-Arena deliver weather pictures for planning your holidays. We renew the Berwanger ski area! Since the merger with the Thanellerkarlift in 2016, we are planning, drawing and negotiating. Now the project is ready-made and we are pleased to announce our plans to you - valued guest. Read more. Family-friendly ski region in the Zugspitz Arena: 36 km of slopes, 12 cable cars and lifts and rustic huts. Slope map of the Tyrolean Berwang-Bichlbach-Heiterwang ski region: 12 lift facilities and 36 km of slopes. Open cable cars, chairlifts and platter lifts in the Berwang-Bichlbach-Heiterwang ski region at a glance. Berwang ski region prices for the winter Season 2018/2019: Berwang Card, Top Snow Card, Tirol Regio Card, Tirol Snow Card. Daily up-to-date snow reports on the snow depth in the Berwang ski region and the Tiroler Zugspitz Arena. Looking through Berwang’s live cams immediately shows what the weather’s like today. Plan you holiday today! 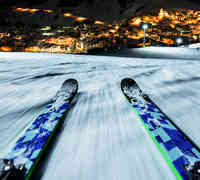 Night skiing in Tyrol in the Zugspitz Arena: illuminated slope in Berwang every Thursday and night tobogganing. Toboggan run open daily, toboggan rental and helmets for kids, night tobogganing every Thursday from 6-9.15 pm. 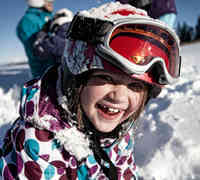 Children’s ski school for ages 3+, ski and snowboard courses for all ages at any level, cross-country training. 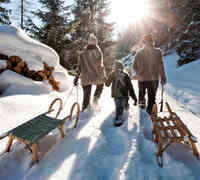 Winter hiking on snow-cleared and sanded winter hiking trails, ascent and/or descent with the Bergbahnen Berwang. Cross-country skiing on groomed runs, free ski bus, courses, equipment rental; ice skating & ice stock sport. 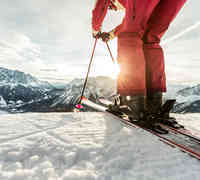 Tyrolean specialities, alpine products for hikers and skiers and restaurants for après-ski. All information and tips for your perfect holidays in Berwang in the Tiroler Zugspitz Arena! Choose from the selection of accommodations in Berwang: privately rented rooms, apartments, huts. 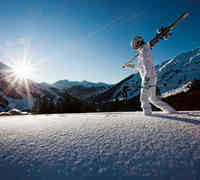 Summer and winter holiday in the Tiroler Zugspitz Arena for families, athletes and connoisseurs. Having breakfast in a gondola of the Almkopfbahn in Bichlbach, with a breathtaking view on the Zugspitze - Germany’s highest mountain – and the Heiterwanger Lake. There’s even more for guests to experience beyond the hiking paths, bike trails and ski slopes. 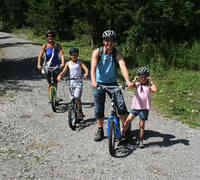 Summer and winter holiday in the Berwang holiday region: tips for families with toddlers and teenagers. Latest tips from the Bergbahnen Berwang for your summer & winter holiday in the Tiroler Zugspitz Arena. Up-to-date event calendar in the Tiroler Zugspitz Arena holiday region: sport, food & drinks, music. 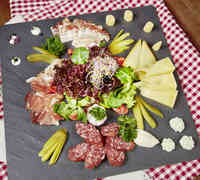 Food & drink, regional Tyrolean delicacies, alp products for hikers and skiers, Schirmbars and more. Infrastructure in the holiday region Berwang-Bichlbach: Tips for the perfect summer and winter holiday. The range of accommodations in Berwang-Bichlbach-Rinnen is as varied as the active holiday possibilities in the Tiroler Zugspitz Arena. Pick and book the right accommodation here! Twelve lifts - one cable car, several chairlifts and platter lifts - await you in the family friendly, snow guaranteed ski region Berwang-Bichlbach-Heiterwang from mid-December to early April. The selection of accommodations in Berwang-Bichlbach-Rinnen is just as diverse as the activity and holiday options in the Berwanger Tal and the entire Tiroler Zugspitz Arena. Steer clear from the hustle and bustle in a pleasant high-altitude location and still reach all attractions in the holiday region by the Zugspitze in no time while staying in the Berwanger Tal. Where would you like to stay on your holiday? At a hotel in Berwang by the ski slope? In a bed and breakfast or a holiday apartment in Bichlbach or Berwang? Or at a four-star spa hotel where you can properly spoil yourself? We have the accommodations, you have the choice. Simply use the booking options on this page! No matter which kind of accommodation you choose, you’ll find hospitality, conviviality and Tyrolean sociability everywhere. The teams at the tourism offices will be pleased to help you find particularly family-friendly holiday apartments, hotels, rooms with breakfast and rustic huts near Berwang, or a accommodation with a discount on your ski pass during the Superski Weeks by the participating partners. Welcome to your ski winter! Special offer: during the Superski Weeks you get a discount on your Top Snow ski pass if you book your accommodation by the participating partners (bookable from 4 nights in the Berwanger Tal). That makes calculating your vacation easier! 88 cable cars & lifts and 209 km of slopes are available for you with the Top Snow Card. 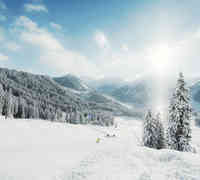 The ski ticket is valid in the Tiroler Zugspitz Arena, Garmisch-Partenkirchen and Mittenwald. Pick an accomodation now and book your Holiday with a discount on your ski pass!